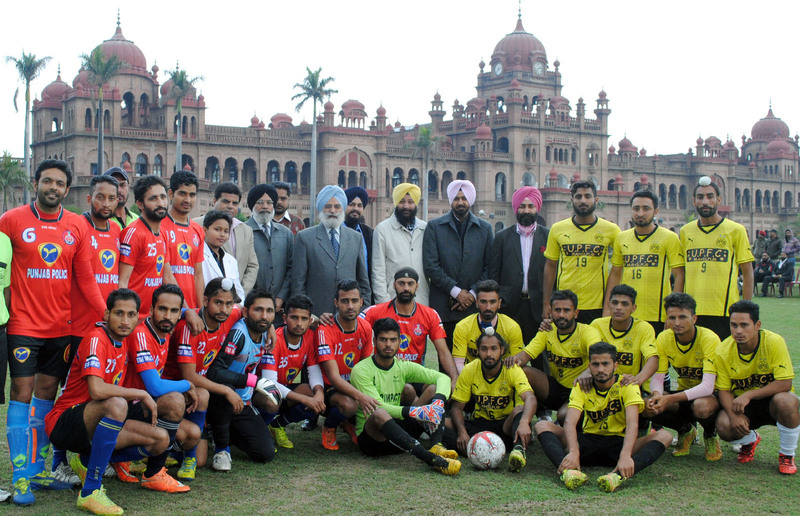 The Fourth Harwinder Singh Hinda Footbal Tournament was today organized at Khalsa College in collaboration of Guru Ram Das Sports Club and Baba Taruna Dal, Baba Bakala. 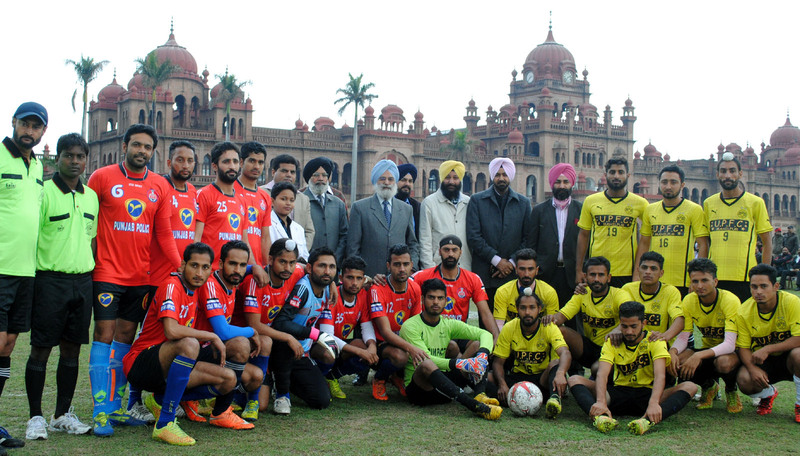 In the opening match the Punjab Police, Jalandhar and United Club Mehalpur, Hoshiarpur, presented an impressive show of sportsmanship despite the inclement weather and no team could score a goal, even through the penalty and the match was declared draw. Similarly the weather played spoilsport and the Vancouver Club (Canada) team that had especially flown in for the tourney could not play the match. 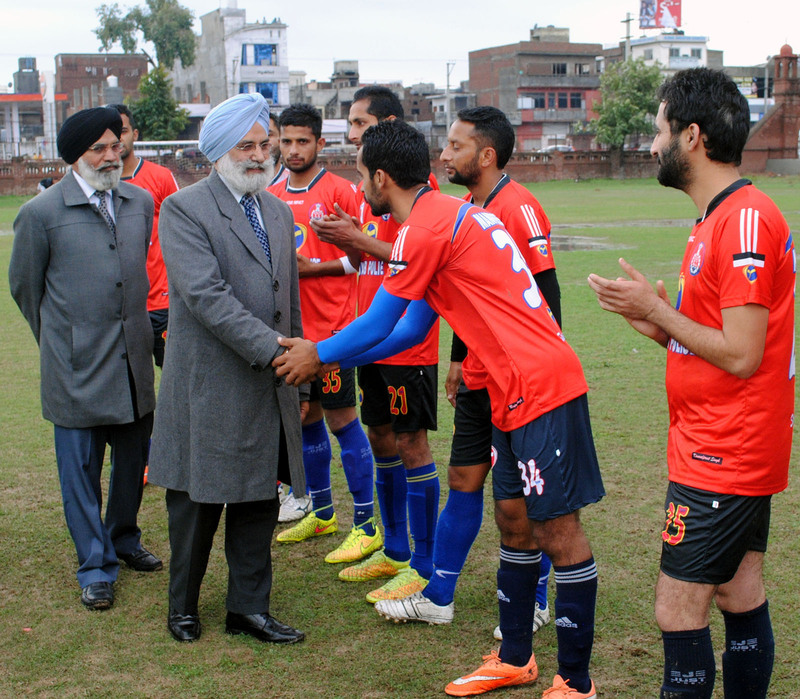 Khalsa College Governing Council Honourary Secretary Rajinder Mohan Singh Chhina who was chief guest at the tournament meanwhile appealed the state government to facilitate the sportspersons on the lines of neighbouring Haryana. ``We must encourage the sports and give due financial help to the sportspersons’’, said he adding that he had already written to CM Parkash Singh Badal for financial help and suitable jobs for Asian and Olympian players. During the prize distribution the players of national repute were given the sports kits by Chhina in presence of Arjuna Awardee Gurdev Singh.SSP Baljit Singh Ranwdhawa, DCP Gurnam Singh, ADCP Kuljit Singh, DSP Suba Singh, Principal Dr.Mehal Singh, Principal Nirmal Singh Bhangu, Bhai Resham Singh and others were present.